For about five years, tucked away in the terms and conditions of Tesco Clubcard, has been a rule limiting you to earning 30,000 points per quarterly statement. Whilst the rule existed, Tesco did not initially impose it. It looked as if it had been brought in as a bit of protection for Tesco to cover themselves against any abuses of the programme. 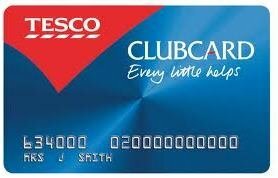 Tesco Bank points were excluded in order to keep heavy credit card spenders happy. Back in 2013, things changed. I heard a few reports of people having points removed to take them down to exactly 30,000. This was done in a very arbitrary fashion. Some people, for example, only went above 30,000 points because they redeemed large value vouchers and received a lot of points back as ‘change’. Tesco seemed to pull back again and I didn’t hear any more stories for a while. This may have been linked to a period where there were fewer Clubcard deals around. In 2015, I began to hear similar stories. And now, at the start of 2016, I am hearing about it from A LOT of people. Thank you for shopping with Tesco, we really do appreciate your custom and loyalty. We wanted to let you know that in the latest Clubcard collection period you collected more than our maximum limit of Clubcard points. Your Clubcard statement is on its way and will contain the maximum £300 in Clubcard vouchers (This is the value that 30,000 points represents) as outlined in our Terms & Conditions which can be found at the web address below. We do hope that you continue to get full use of your Clubcard and benefit as such in the future. If you have any queries please do not hesitate to contact one of the Clubcard team on 0800 591 688. Once again, thank you for shopping at Tesco and for your understanding in this matter. There are two things about this letter which are unfair. The first is that R. only exceeded 30,000 points because he received ‘change’ from redeeming older vouchers. If you earn large volumes of vouchers, you always receive them in £50 denominations. If you redeem £10 for a Pizza Express meal, it means £40 goes back as ‘change’ to be returned next time. It is crazy that this counts towards the £300 cap. The second unfair point is that some people have been given Tesco gift cards to the value of the missing points. Our reader was not offered these. I have told him to ring Tesco and ask for them as I know other people have been successful doing this. Shopper Points readers should take note. If you do expect to exceed 30,000 points in a quarter due to over-zealous use of a promotion, split your shopping across different Clubcards in different family member names. Some inconsistencies again from clubcard towards customers. Some have had points removed, some not, some got gift cards to the value deducted and some not? It’s all about if you want to call them up and potentially bring unwanted attention to your account as the terms “not in the spirit of the scheme” could be used against you. How do peeps get 30k each in a 1/4? What’s the top 5 methods? Keep an eye on this site on a daily basis for the best clubcard deals, but be quick so check in every morning as clubcard bonus deals now can sell out in under a day. I have £299 already in vouchers from previous quarters. Does this mean that I have to start spending them before any more are credited to my account, or is it only the current quarter that has a limit on it, not historic quarters’ vouchers still not used? I have stockpiled them in the vague hope that a bonus offer to Avios might one day happen again! Only a 30k cap per quarter not combined total in your account. They are also processed much quicker. Did you miss the bonus 2 months ago? Is anyone else having trouble logging on to the Tesco Clubcard website? it throws up an error for me across multiple devices. thanks,wonder why that is though.